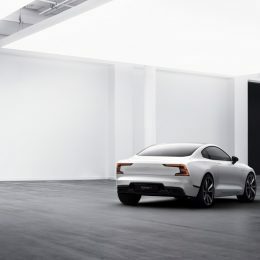 Polestar, Volvo Car Group’s performance brand, has today revealed its future as a new standalone electric performance brand. 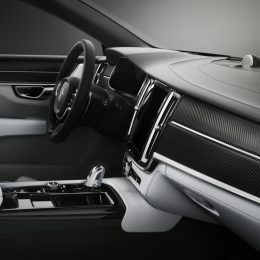 Polestar has confirmed the company’s first three models, a new purpose-built production facility in China and a new, customer-focussed route to market with all-inclusive subscription-based services that will set a new industry benchmark for performance car buyers. 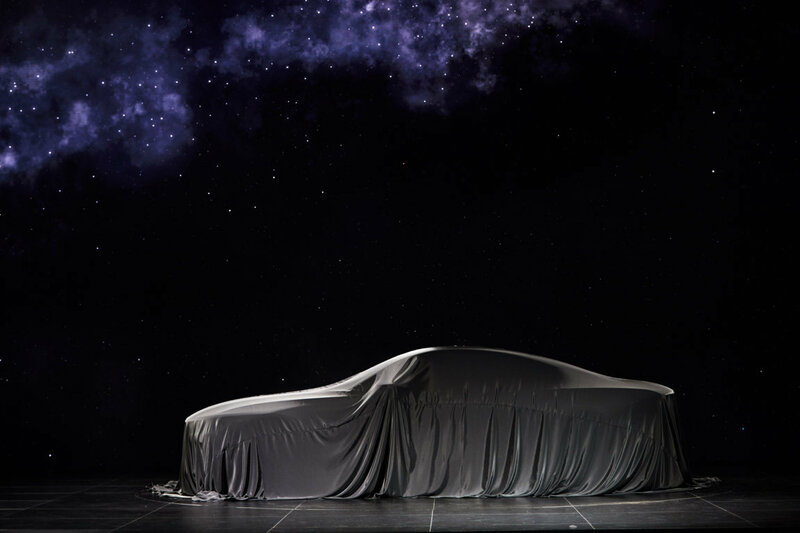 The company’s first car, Polestar 1, will start production in mid-2019. 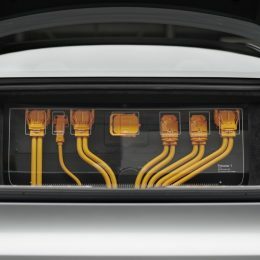 As an Electric Performance Hybrid, the car can travel up to 150km on pure electric power alone – the longest full electric range of any hybrid car on the market. 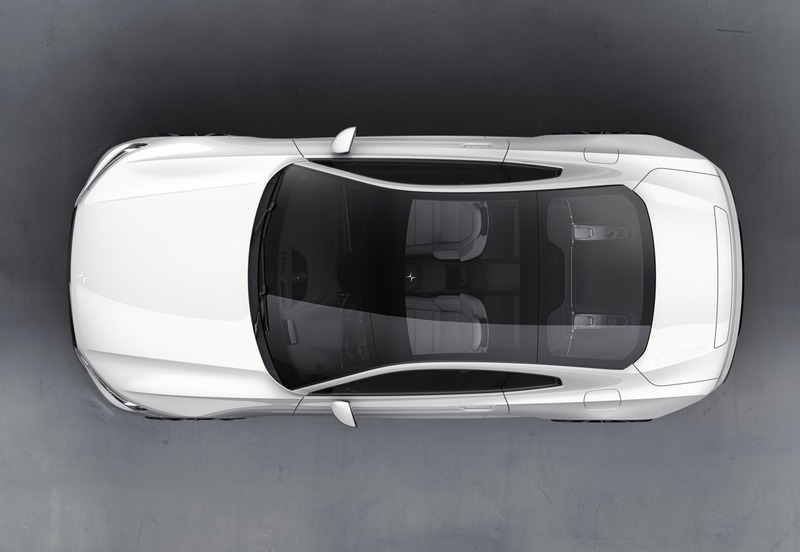 In combination with its four-cylinder Volvo Drive-E engine, the Polestar 1 delivers 600hp and 1,000Nm of torque, placing the car firmly within the performance car segment. 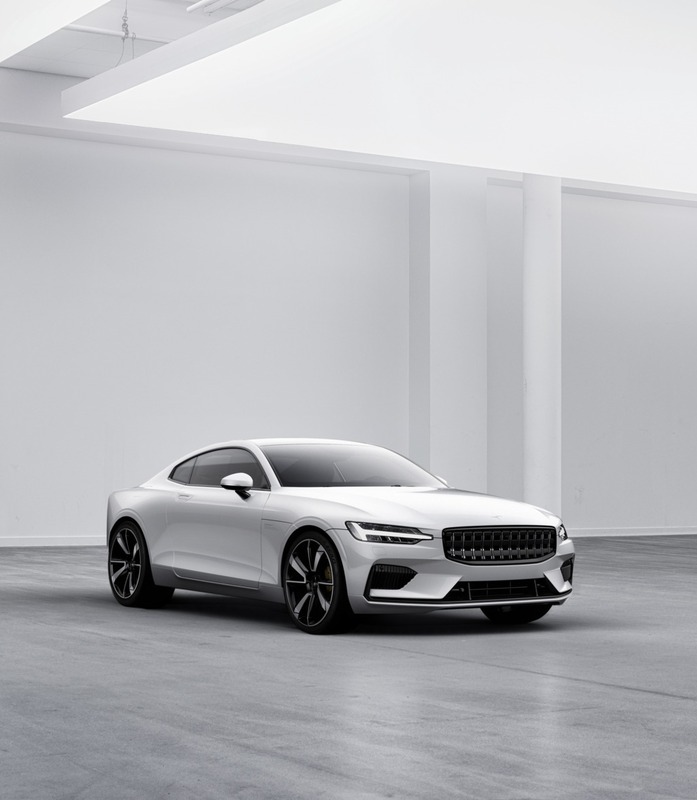 Polestar will act as a technology spearhead for the Volvo Car Group, bringing new technology and performance attributes to market. 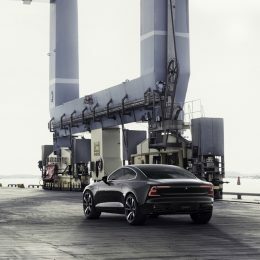 At the same time, Polestar will benefit from technological and engineering synergies within Volvo Cars and significant economies of scale as a result. 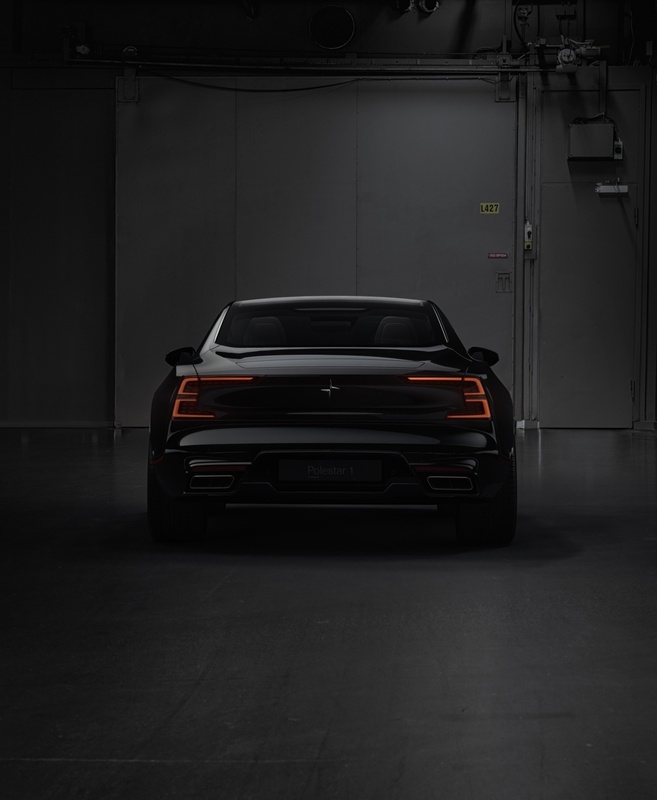 These synergies will allow Polestar to accelerate the design, development and building of its electrified performance cars. 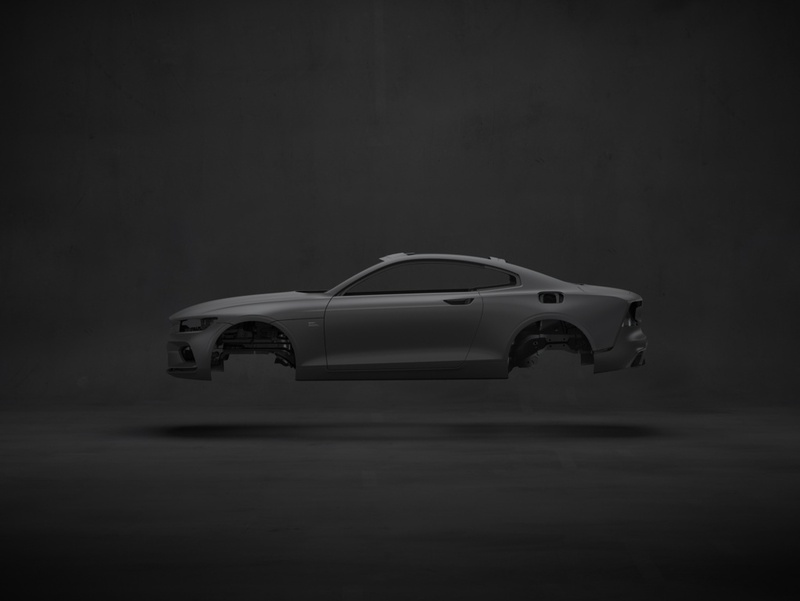 The first car from Polestar, named Polestar 1, will form a halo for the future Polestar brand. 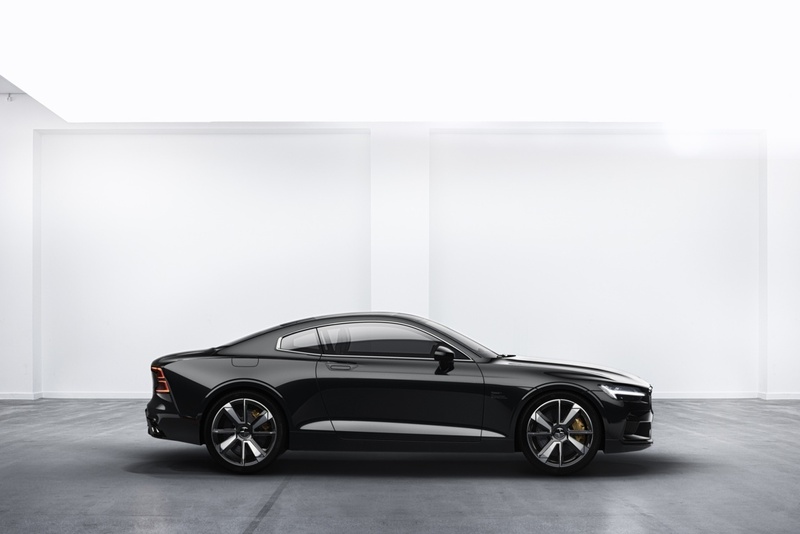 The Polestar 1 is a two-door, 2+2 seater Grand Tourer Coupé with an ‘Electric Performance Hybrid’ drivetrain. A maximum of 500 cars per year will be built. All cars will be offered on a subscription basis, with customers benefitting from the convenience of a single, all-inclusive payment that can be topped up by additional on-demand services if required. 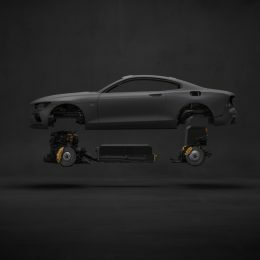 Showcasing Polestar’s technology spearhead role, the Polestar 1 is based upon Volvo’s Scalable Platform Architecture (SPA) but approximately 50% is new and bespoke, created by Polestar’s engineers. 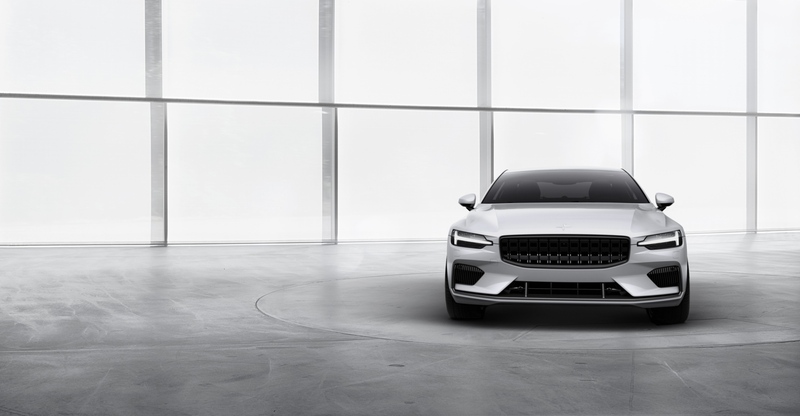 Polestar 1 measures 4.5m in length compared with the 5.15m of the S90. This involved removing 320mm from the wheelbase and another 200mm in the rear to create the car’s powerful, sporty proportions. 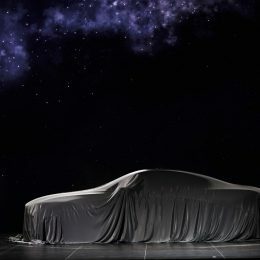 A further example of the technology spearhead role is an all-new double electric motor system driving both rear wheels, connected together by planetary gears. 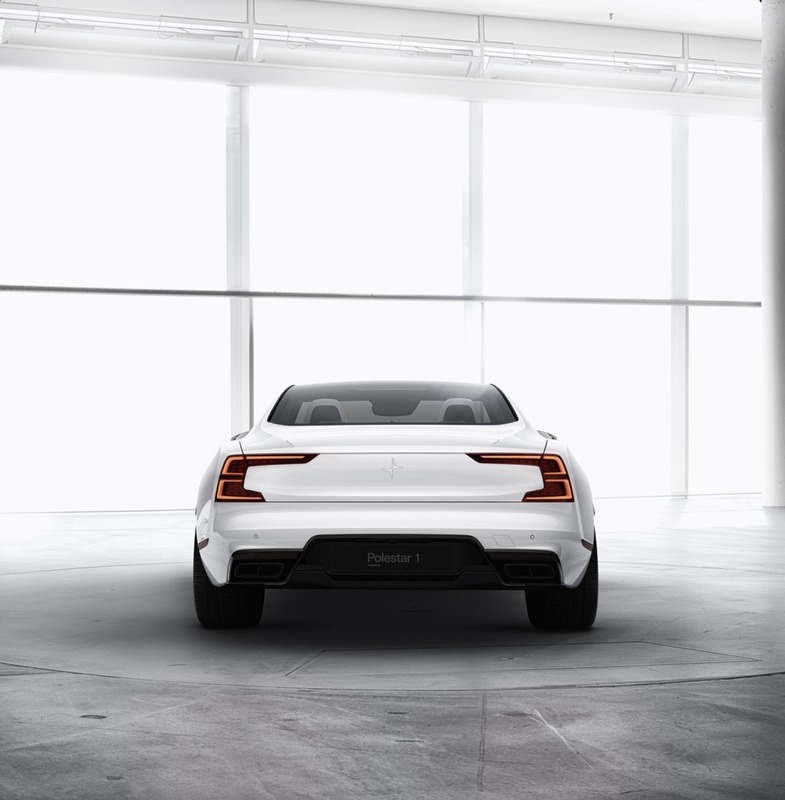 Producing 218hp, plus the support of an Integrated Starter Generator, the Polestar 1 in Pure mode, is a rear wheel drive Electric performance car with up to 150km of range. This distance ensures that many customers will only ever use the car in full electric mode. 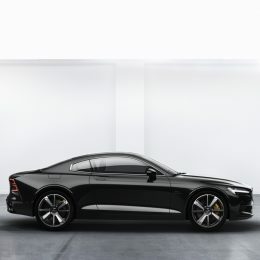 For those needing increased range, or wanting to exploit the full performance attributes of the Polestar 1, the double electric rear motors combine with a Volvo Drive-E two-litre four-cylinder petrol engine, powering the front wheels. In Power mode, the Polestar 1 delivers a total of 600hp and 1,000Nm of torque. 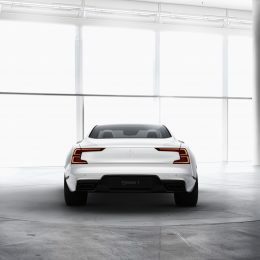 Thomas Ingenlath, Chief Executive Officer of Polestar, continued; “The Polestar 1 is a Performance Electric Hybrid, but with the longest pure electric range of any hybrid car in the world, we consider it an electric car with support from an internal combustion engine. 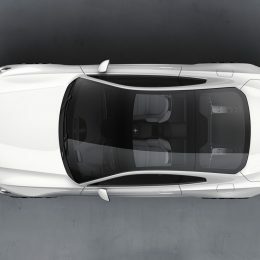 All future cars from Polestar will be Electric Performance Vehicles but the Polestar 1 bridges today’s technology with the future, offering the perfect drivetrain for a Grand Touring Coupé that’s likely to be used over longer distances as well as shorter, faster, enjoyable journeys”. When the driver enters the first corner in their Polestar 1, the car further differentiates itself from its electric car competitors. This is what Polestar defines as Progressive Performance. 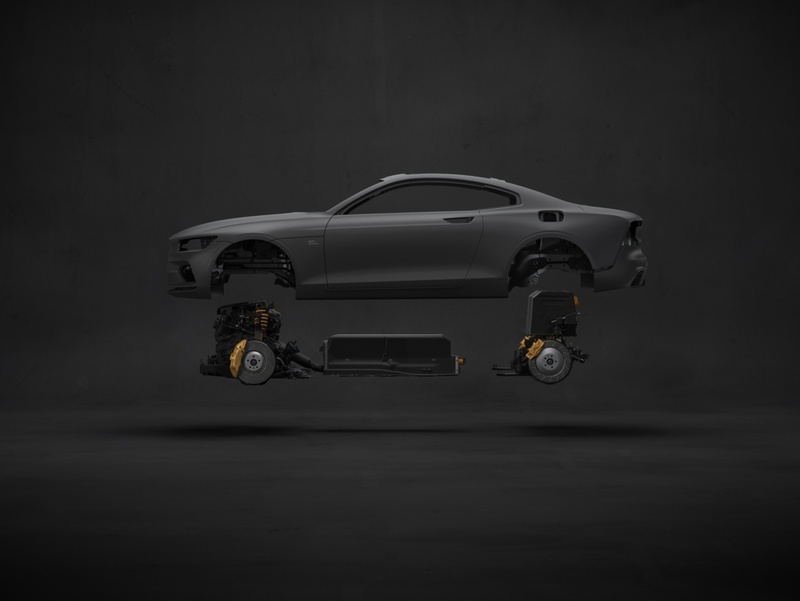 Polestar’s experience of fitting Öhlins suspension to all its previous performance road cars has been harnessed, with Polestar 1 fitted with a state-of-the-art chassis, including the all-new Öhlins Continuously Controlled Electronic Suspension (CESi) – the world’s first car to be fitted with this advanced chassis technology. Each Öhlins shock absorber is fitted with a new electronic valve, installed for the first time on any road car in conjunction with Öhlins shock absorbers. The valve constantly monitors the driver inputs and road surface conditions, reacting in two milliseconds, to immediately change the ride characteristics to the prevailing demands. For the first time on an Öhlins suspension, the driver can also make changes to the suspension settings within the car, constantly able to tailor the chassis damping and ride quality to their own requirements. Complementing the suspension technology is a powerful braking system to provide the driver with total confidence in all driving situations. Manufactured by Akebono, the 6-piston brake callipers and 400-millimetre discs provide maximum stopping capability. Weight distribution of 48F:52R also ensures the car delivers class-leading handling. 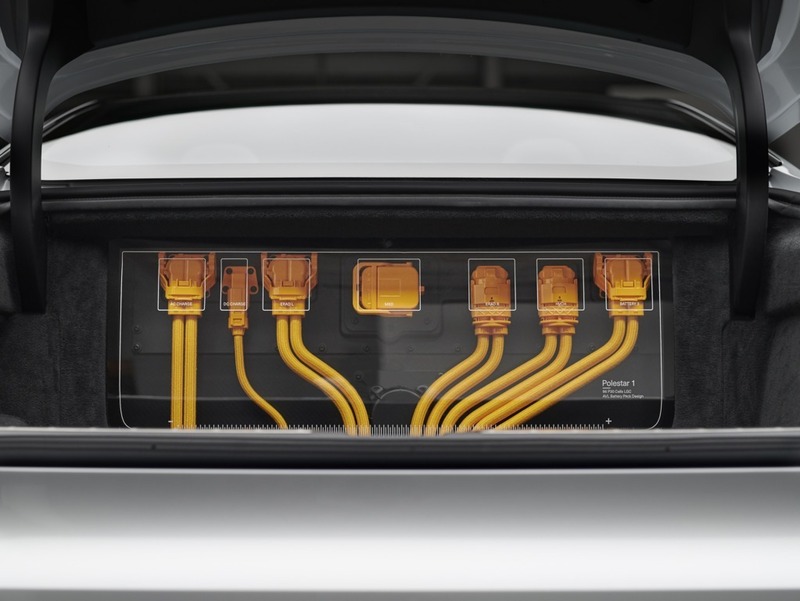 The Polestar 1 also brings other new technologies to the market for the Group. Thanks to the double electric rear axle’s planetary gears, torque vectoring features for the first time, separating the power from each of the electric rear motors to drive the car through corners, rather than convention traction control systems that brake the inner rear wheel, slowing the car in bends. 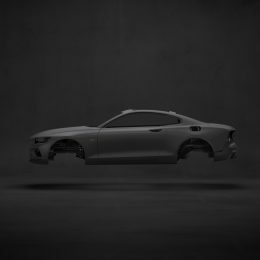 As another first for the Group, the major body parts of the Polestar 1 are made from carbon fibre. This lightweight material, more commonly found in supercars, gives the car three significant advantages. Firstly a substantial body weight reduction of 230kg by building in lighter Carbon Fibre. Secondly, an increase in torsional stiffness of 45%, from 22Nmm-2 to 32Nmm-2. And additionally, a lower centre of gravity. Reducing the weight of the upper body panels by using lightweight Carbon Fibre lowers the centre of gravity for the Polestar 1 and results in better handling, performance and drivability on an open and flowing road. “Most electric cars are fast – that’s a product of the attributes of an electric motor. However, for Polestar, performance is far more holistic than just straight-line speed. It’s about acceleration, of course, but it’s also about cornering, braking, suspension control, chassis feedback and steering feel. 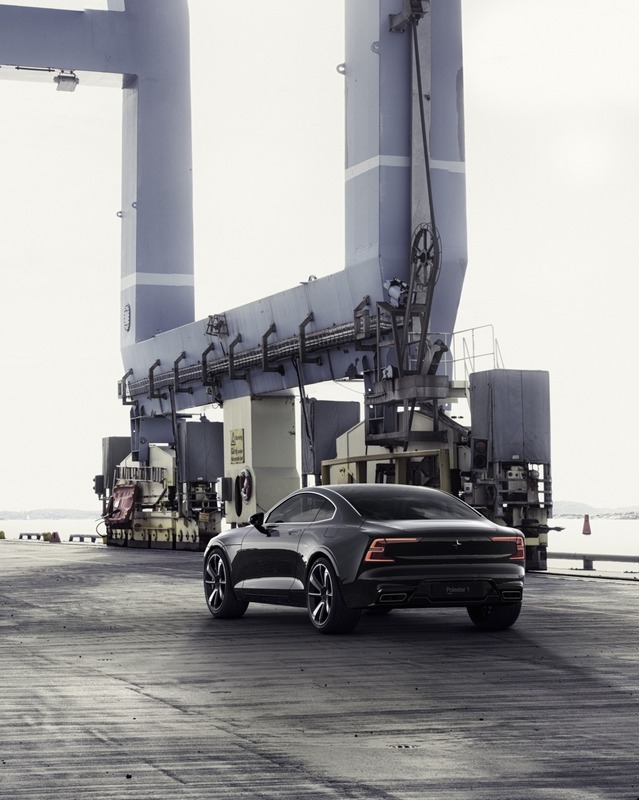 This is what Polestar calls Progressive Performance,” said Thomas Ingenlath. Polestar 2 and Polestar 3 to follow. All future Polestar cars will feature a fully electric powertrain. 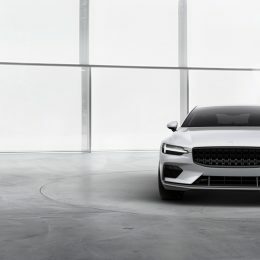 Polestar 2 will start production later in 2019 and will be the first battery electric vehicle (BEV) from the Volvo Car Group. 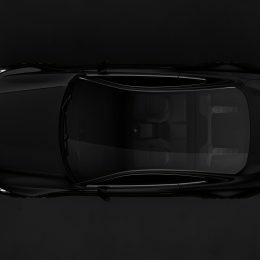 Polestar 2 will be a mid-sized fully-electric car that will join the competition around the Tesla Model 3. 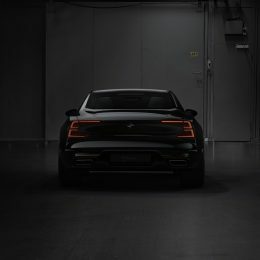 Polestar 2 is currently in the engineering phase and will start production before the end of 2019, delivering higher volumes than Polestar 1. 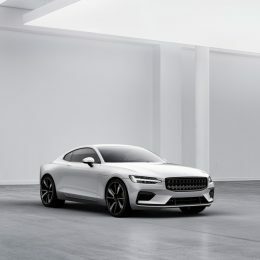 Polestar 3 is in the finishing stages of design and will be a larger SUV-style BEV, creating a modern expression of electric performance and driving dynamics, and sitting between Polestar 1 and Polestar 2 in terms of volume and pricing. A contemporary approach for modern performance customers. Polestar brings a fresh approach to taking vehicles to market, removing all the hassle and allowing the customer to focus on what’s important: the driving experience. At the heart of the Polestar customer offer is a monthly subscription payment. This all-inclusive, no deposit, flat monthly payment ensures that the customer need never concern themselves with the inconvenience or cost of depreciation, insurance and maintenance and all Polestars will be offered on this basis. 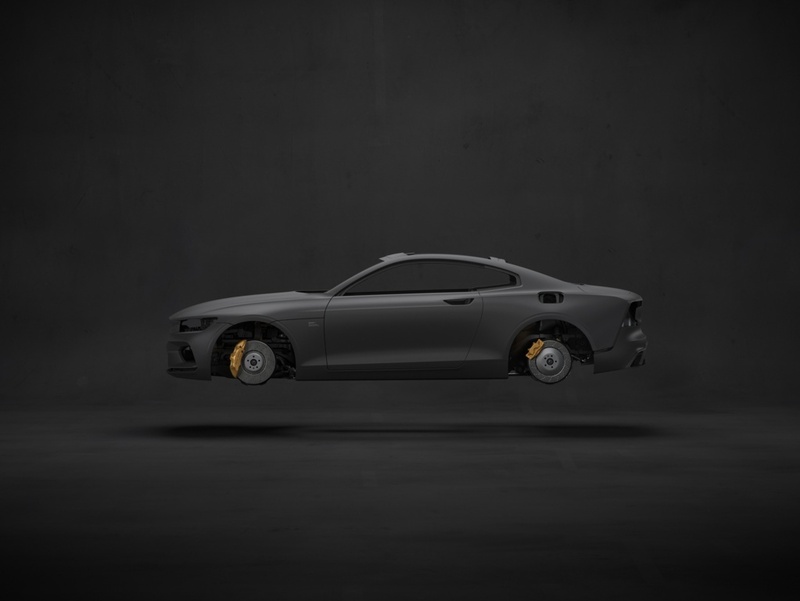 The subscription also includes pick-up and delivery servicing where Polestar contacts the customer to arrange a convenient time for scheduled maintenance. It will also consists of a number of car rental days and access to a range of concierge services. Polestar also recognises that its customers can’t always plan their future motoring requirements. For this reason, Polestar on-demand services are available. Simply ordered online or through a Polestar app and added to the one monthly invoice, further reducing the “hassle” traditionally associated with car usage. As an example, a customer needs the short-term use of a roof box for a forthcoming skiing holiday. 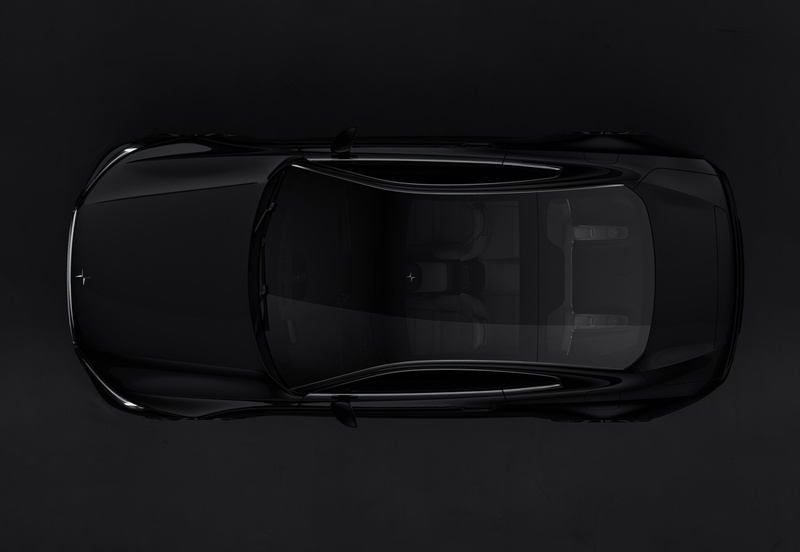 At a time and location specified by the owner, Polestar will supply, fit and subsequently remove the roof box, just adding a small incremental usage charge to their monthly invoice. Polestar offers extended concierge services, tailored to the requirements of the most demanding customers. Included is services such as the extended use of a larger Volvo car domestically and internationally for when the driver needs additional load capacity during long family holidays, for example. Other features include the ability to book a car wash and valet at a time and location convenient to the customer. 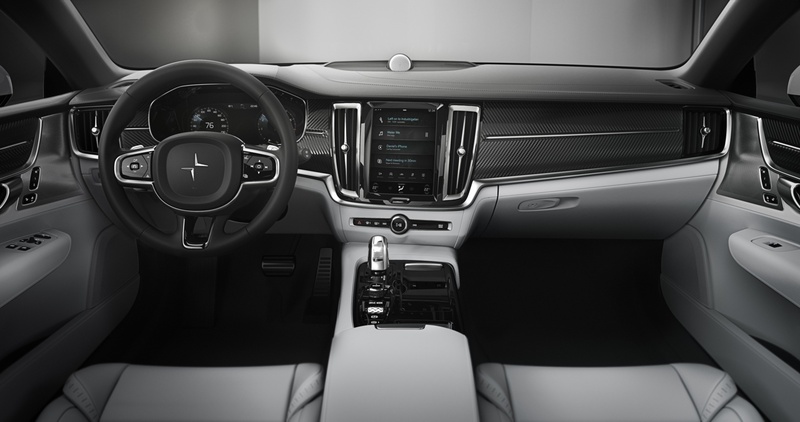 Polestar’s own Phone-as-Key technology is the main enabler of its concierge services. Using an easy-to-use app on Apple or Android devices, the driver can gain access to the car without using a key if required. More importantly, the app allows the owner to virtually pass a key to a third-party concierge or driver to facilitate the collection of the car to re-charge it, service it and more, without the owner ever leaving their home or office. The subscription will be for a fixed term of two or three years. At the end of the contract, the customer simply returns the car, or Polestar collects it and delivers their next Polestar experience. 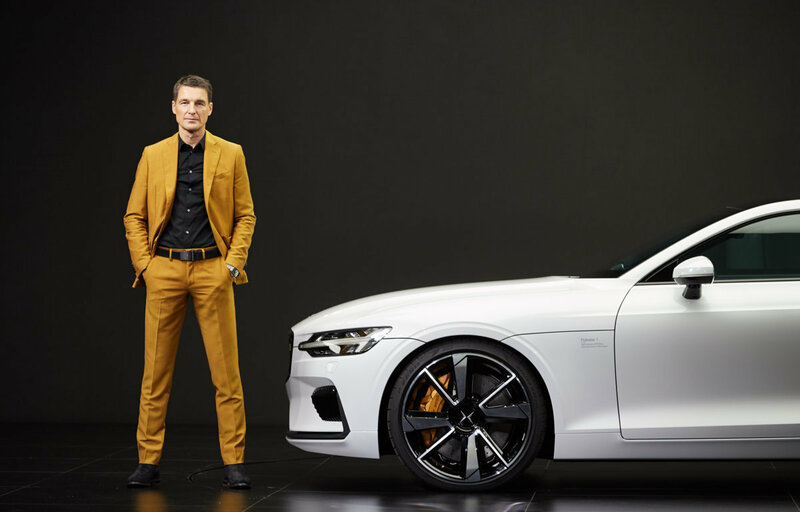 Polestar will then refurbish the vehicle and prepare it for a secondary subscription as a high-quality pre-owned Polestar car. “Our vision is that the Polestar subscription model and services that we will offer will define the Polestar brand as much as our cars will. 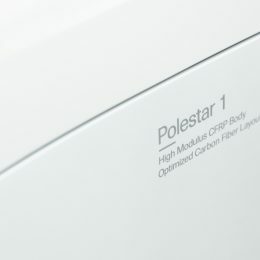 Services that exceed the needs, desires and expectations of the premium performance car customer are at the heart of Polestar, removing the inconvenience of ownership and allowing customers to purely concentrate on the pleasure of driving a Polestar car,” said Jonathan Goodman, Chief Operating Officer of Polestar. Access Polestar wherever, whenever and however. 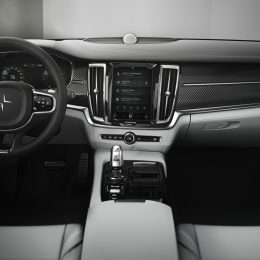 Polestar makes the entire user experience as convenient and effortless as possible, catering to the customer’s desired choice of interaction channel (digital or physical). All features, from test drives, subscription offers and on demand services are ordered online. The customer never needs to visit a Polestar environment if they don’t want to. 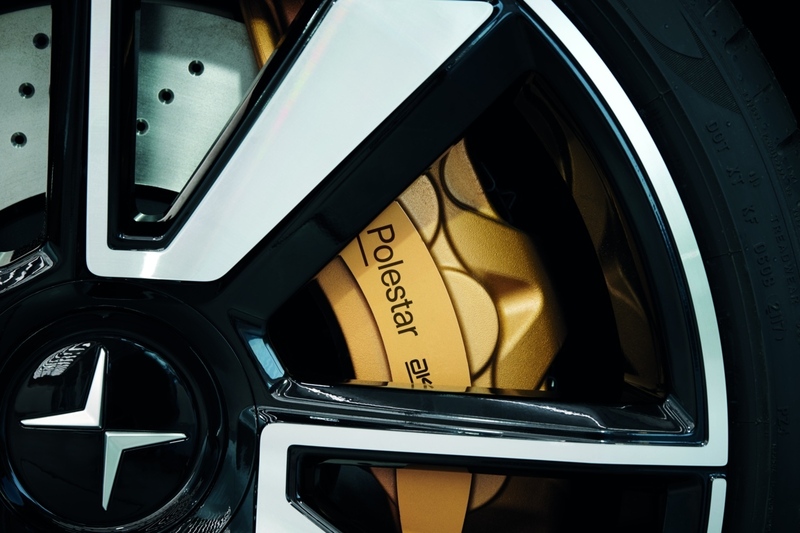 Polestar also recognises that as a new entrant into the electrified automotive segment, customers still want to physically engage with the brand. The digital approach will therefore be complemented by the creation of a network of stand-alone retail Spaces around the world. 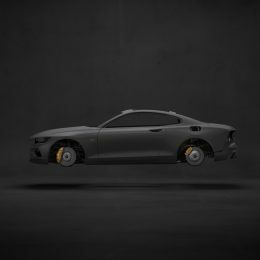 These Spaces will be staffed by Product experts who can assist in demonstrating and explaining the Polestar car’s content and carrying out test drives should the customer wish to do so. Polestar facilities will not be located within an existing Volvo retailer showroom. 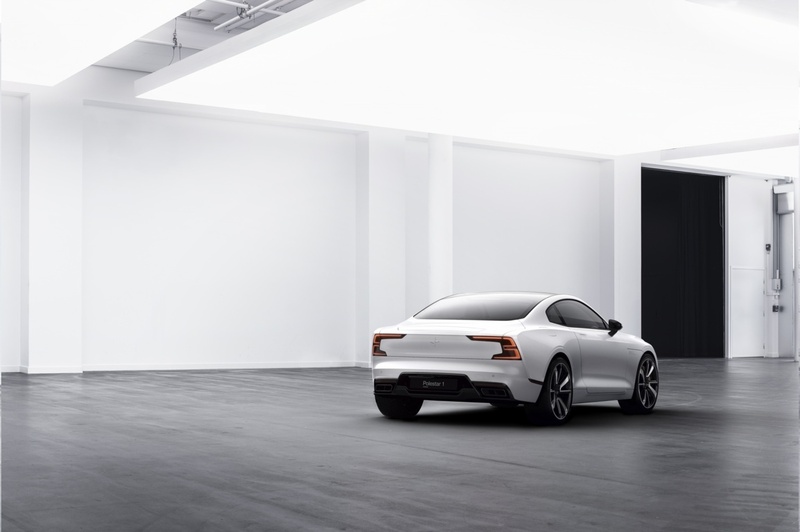 The target date for the opening of the first Polestar Space is Q1-2019, followed by a ramp up as volumes grow. The order books for the new Polestar 1 open on 17 October 2017, with Polestar able to take expressions of interest from prospective customers immediately. Polestar cars will be built in China. 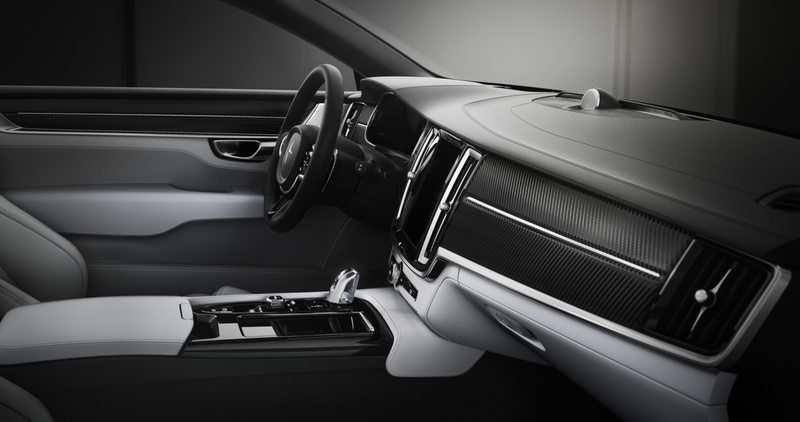 To facilitate this, Volvo Cars has formed a joint venture with two companies within its parent company, Zhejiang Geely Holding. 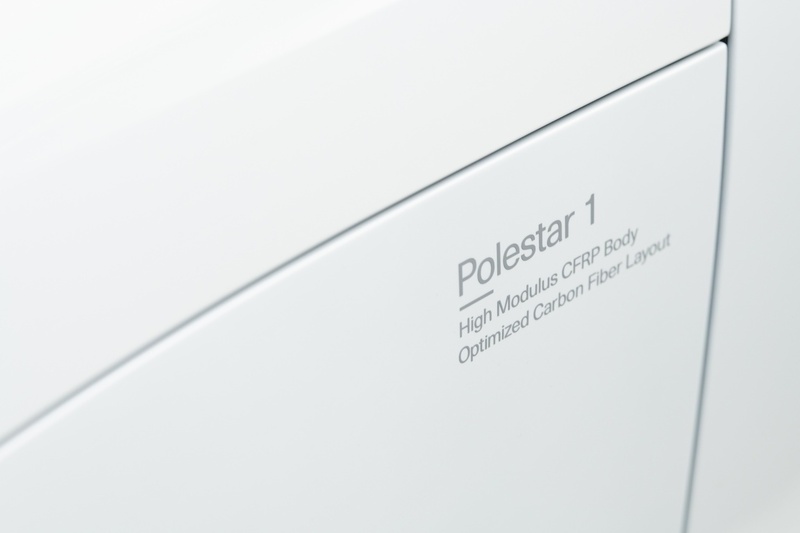 This JV is capitalised with 5B RMB (640M Euro) of equity to support Polestar’s development. Polestar remains a subsidiary of Volvo Car Group and will be fully consolidated into Volvo Car Group. The new Polestar 1 will be built in a state-of-the-art, purpose-built Polestar Production Centre in Chengdu, China. Currently under construction and due for completion in mid-2018, the new Polestar Production Centre has been carefully created together with international award-winning architects, Snöhetta from Norway. The new Polestar Production Centre will also house one of the first Polestar Spaces, with a customer test track constructed within the campus to enable potential customers to evaluate the car to extremes not possible on public roads. 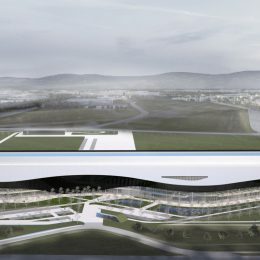 When complete, the new Polestar Production Centre will be the most environmentally-responsible car factory in China, and one of the most efficient in the world, with a target of Gold status in the globally-recognised LEED ratings (Leadership in Energy and Environmental Design). “Our new Polestar Production Centre is no ordinary car factory,” said Jonathan Goodman, Chief Operating Officer of Polestar. 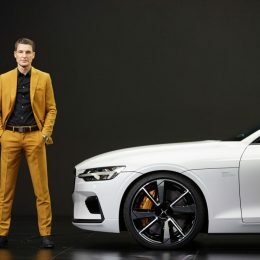 “It is designed for the low volume production of Polestar 1 but is also being designed to cater for the larger volumes of the future. The Production Centre has also been designed to act as a strong representation of our brand as well as a state-of-the-art production facility”.